Everybody wants to be happy, yet few people know how to get there. We think we will be happy if we get the right job, meet the right people, get the new car. But there will always be something else we want--genuine happiness comes from within. It's a state of mind, a way of looking at the world, a commitment to improving ourselves and authentically enjoying life. 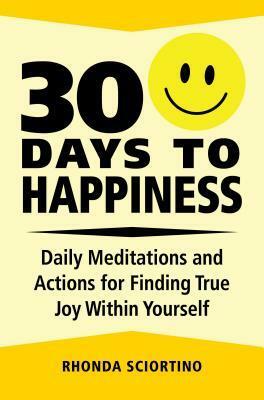 Cassandra's Review- WIth this book you get positive vibes and if you read in the morning you can have a good jump on a brighter outlook for your whole day. Reading it is the easy part, but you have to put in the work to make a change for yourself. I like the additional meditations added to every few pages to bring in a sense of calm.